Which is why I've never had Netflix. First, they get ya hooked, then slowly creep up the price until eventually it would be up in the cable/satellite range. I have Amazon prime, and use their movie, music, shipping. For me, it's perfect. "The company recently paid around $100 million to keep Friends on its platform in 2019"
Reehahs, Hexic, wiyosaya and 4 others like this. When the entire box set can be purchased for $20 spending $100M does not make financial sense. Are that many people still watching friends? I watch an episode from time to time on cable but I wouldn't cry if it wasn't on Netflix. That's an insane price to pay for such an old show. WB is milking the heck out of that cash cow. wiyosaya and BSim500 like this. The girlfriend watches a zillion hours of Netflix a month, and I get in my share too. So $2 more per month really amounts to nothing for what we're using. A month's Netflix subscription at the new rates is still cheaper than two people going to one movie. Edito, Reehahs, mctommy and 1 other person like this. Warez should slowly come back. There's always Prime and Reddit...for now. That's quite the hike. 13x12 = 156 bucks a year still ain't bad at all but it'll still make us dig deeper. Amazon Prime video lack a lot of content compare to Netflix. Aside from Man in the High Castle and Thursday Night Football (I cut the cord 5 years ago), I haven't found much to watch on Amazon. Convenience... now that consumption has shifted to smartphones and roku/appletv/media players, nobody wants to fumble to find your DVD and then change the DVD for subsequent episodes. Call it lazy, call it convenience, at the end of the day, it's just preferred consumption method in this day and age. Reehahs and GreenNova343 like this. Which is why I rip all of my DVDs and convert them to h265 format to keep on my NAS media server. Amazon pulls the same price creep stunt. Prime was $79, per year, when I joined. Then it went to $99. Now it's $119. Netflix priced their basic subscription at $7.99 per month when we joined over ten years ago. it's now getting it's first increase. So, since I pay for both, I believe Netflix has been the most price stable, until now. I expect all services that are near market saturation to jack up their prices, or cut back on quality. It's the "Apple business model." I did too for some of them... but you have to remember, you are likely the exception. Not that many people have the rig and/or the patience to convert their DVD library to put on a NAS or even have a NAS in the first place. Amazons movie selection is trash. I use Netflix and what ever is not on there I pirate and watch with Plex. Nice and easy. Netflix will eventually charge $50-$100 per month. Question is, with so much recycled content, and a push for new stuff, where will the balance meet, and what will users be willing to pay? There must be a load of subscribers watching Friends for them to shell out that much. Personally, I could care less. I never had and still do not have any interest in the show. With the saturation of streaming services, NBC just announced one, too, my bet is that they will not all survive. Even with a 10% price increase each year, that would be a long way away. My guess is that their internal analytics show that lots of people watch it, and so it makes sense for Netflix to pay for the rights. They aren't doing it just out of love for Friends. 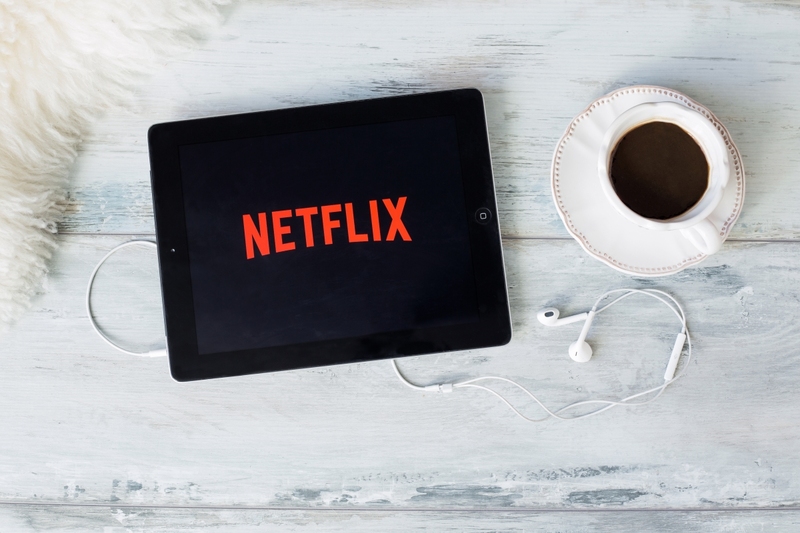 "Netflix will use the extra money to help pay for licensing deals and the production of original content, neither of which are cheap." No one asked or wanted Original (Trash) Contents from Netflix to begin with!!! Dilly Dilly to that! That system hasn't failed me in years. when? in 50 years? by that time who knows how much inflation will affect the value of a dollar. It will happen much sooner then that. It never left you just need to know where to look. 100 million dollars for "Friends"! This show must be a huge darling for Netflix consumers, because they could produce good original contente with that much! I have no doubt that most of Netflix's subscribers would say goodbye even at 50 bucks. I used to be just like you until I watched Stranger Things. I do not live in the US and in Romania the content they offer is quite limited compared to what people in States have. So from my point of view a price increase is not acceptable as they are not offering me more content to chose from. They do have some original content that is interesting, I like their anime production, a few of the new series. But if you want more money, give more things to watch, interesting things, not movies or series with scripts stitched together or blatantly ripped off from popular shows or stories. Amazon prime has the same problem though. They continue to increase the price. At the very least with netflix they are spending that money on making and licensing new content. Amazon takes your money and adds prime music or some other service you may not even use while that money could have spent on content. I don't know about that. Many people pay $80+ a month for cable TV and that's with ads. I'm willing to bet that people will pay more money for more content. Blame international law that was never intended to take the internet into consideration. Netflix is forced to pay per region for content, which gets pricey very fast.